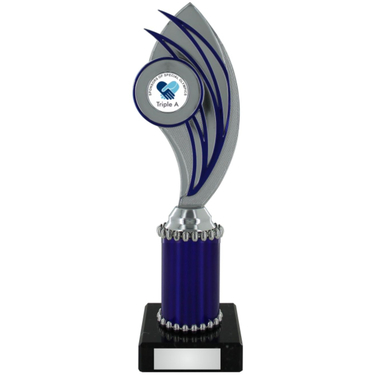 Excellent choice trophy for any awards event. 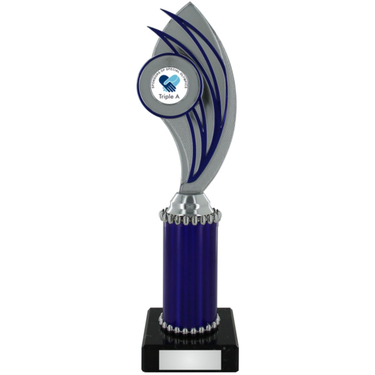 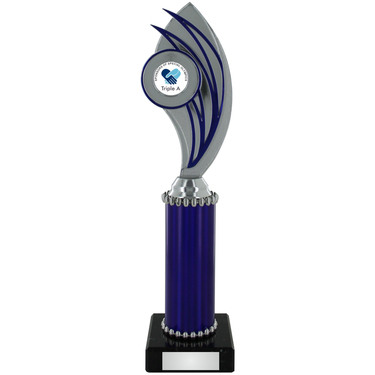 The trophy is increased in height by adding a Blue riser. 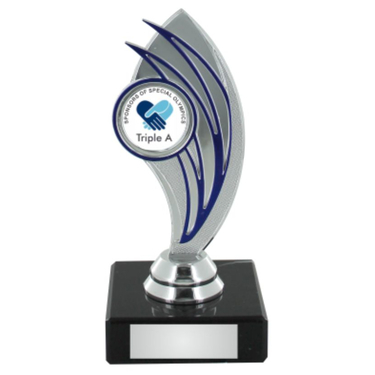 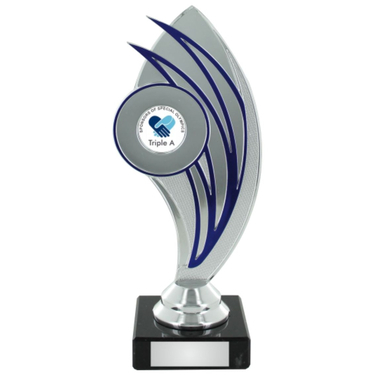 This trophy will support a centre sticker, you may choose from one of the options below.